This month T and I are concentrating on activities in the garden or based around nature, so we've been busy thinking of things we can do with this theme. 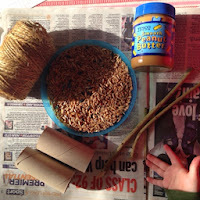 T loves filling up the bird feeders and had a great time making hanging bird seed cakes, so I thought we'd try the peanut butter covered loo rolls I keep seeing on Pinterest. 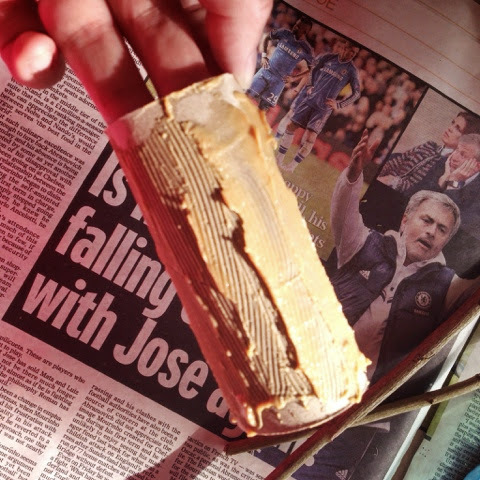 Spread peanut butter over the loo roll, make sure you get it on quite thick as it dries really quickly and then the seeds don't stick! I made this mistake with our first one, our second (above) was much better. 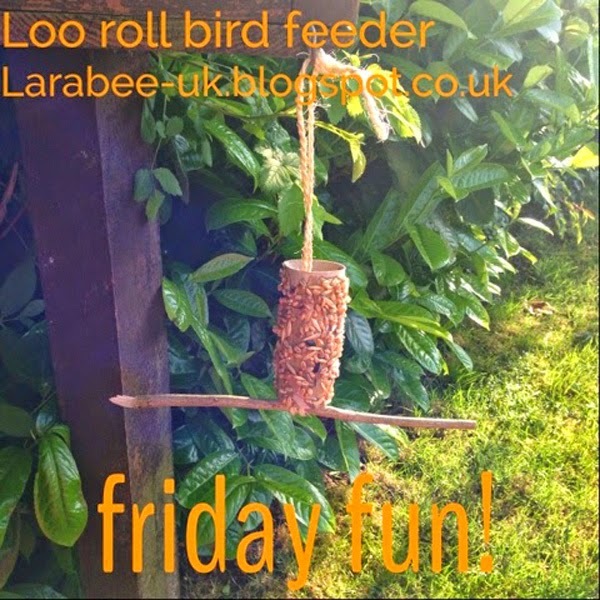 I then gave the loo roll to T to roll in the birdseed. 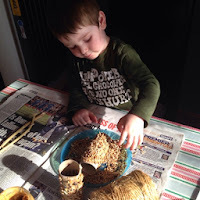 To be honest this was quite messy for him, but we got there in the end, if you don't count the mess on the floor! Once our loo rolls were covered in seed. 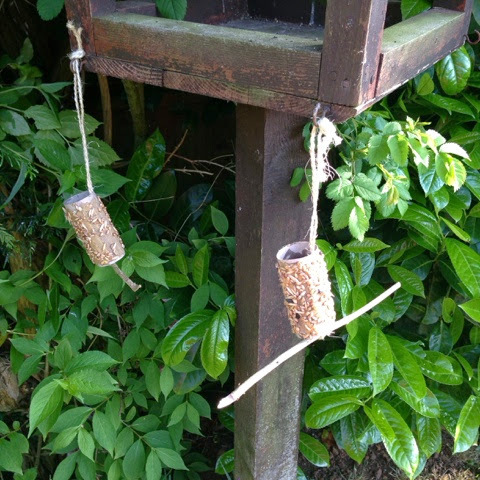 We tied the sting onto the sticks, I thought that it would be nice to give the birds something to stand on rather than hang them horizontally like I've seen on pinterest, then we threaded the string through the loo roll to hang. 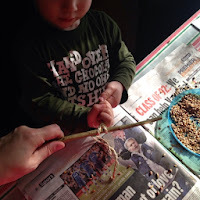 This was a super simple activity and we loved it! Great idea - will be borrowing it!